What do Cyborg Artists, Automobile Engineers, Game Designers and Branding Specialists have in common? At least those featured in this blog post, that is. Surprise, surprise… all these have sound at the core of what they do! See the part 1 of this thread here. In part 2, let me share some fascinating examples whereby sound and our ability to decode sound waves is complementing and supplementing our perceptual experience in truly astounding ways! (1) Soundscaping In Product design: We know that there are armies of designers and engineers that work towards designing and developing a car – it’s mechanics, electronics, aesthetics, thermodynamics, fluid dynamics etc. But did you know that car companies also employ sound experts to design the noise of a car? Read here a fascinating account of how GM makes a car sound like what a car is supposed to sound like. On that note meet Kara Gordon – GM Noise & Vibration Performance Development Engineer who has designed the quietest Chevy. (2) Sonic Logos In Branding/Advertising: Sonic Branding is big today. Think about the sound of ‘Intel Inside’, a call on Skype, the default ring/message tones on your phones and you’d get the idea. In fact Audi’s heart beat logo is said to be one of the most recognized sonic logos in the world today. By the way did you know that after 14 years of using this sonic logo, BMW in March 2013, has changed it to this? This change didn’t get many fans by the way. (1) Audio Games: What would happen if someone wanted to take the “video” out of video games and make users rely solely on their other senses? At first the idea of Audio only games might sound like just another lateral marketing -isque variant (of video game formats). But when you read about Deep Sea, or about Vanished you’d see that we are at the cusp of another revolution in game design and experience. These games are some of the best (if not the first) of its kind that explore the frontiers of what sound (and our ability to decode sound) are truly capable of. 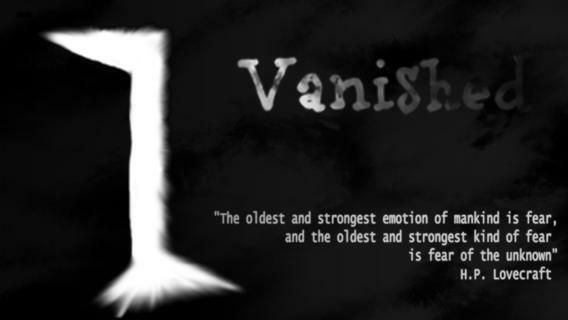 For e.g., Vanished – an iOS game as of Oct 2013 – uses the iPhone’s internal compass and accelerometer to recreate a person’s movement. Players hold their phone in the direction they want to travel and touch the screen to walk. When in danger, they shake the phone to attack. All exploration is done with the help of audio only cues; as players move, the world “rotates” and provides different sounds. (2) Hearing Colors: They say that you can see sound, but can you hear a color? Apparently Neil Harbisson can! His profile on TED says this. So there we have – some truly fascinating examples from the recent past on how sound (and our ability to make sense of sound waves) is being leveraged in some truly exciting ways. The next time you remind yourself to pause for a moment to appreciate the scenery and to ‘smell the flowers’, don’t forget that you could also take in the richness of the surrounding soundscapes in all their aural splendor. All you need to do is incredibly simple. Listen. This entry was posted in Advertising, Art, Branding, Design, Innovation and tagged Audio Games, Automobiles, Chevrolet, Cyborg, Game Design, General Motors, Neil Harbisson, perceptual experience, Perceptual Experience Sound, Product Design, Sonic Branding, Soundscaping. Bookmark the permalink.